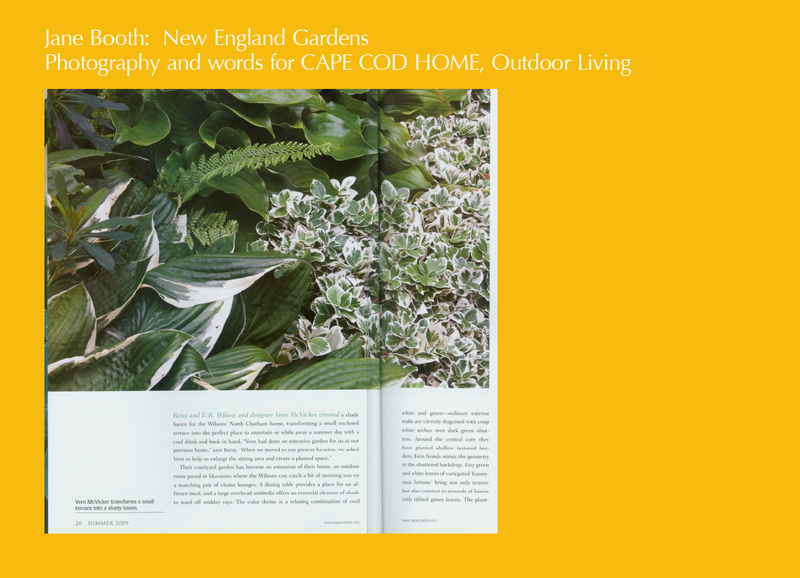 To cover the demise of early spring foliage, plant lots of hostas in all their many foliage shapes, from heart-shaped to cupped and wrinkled. 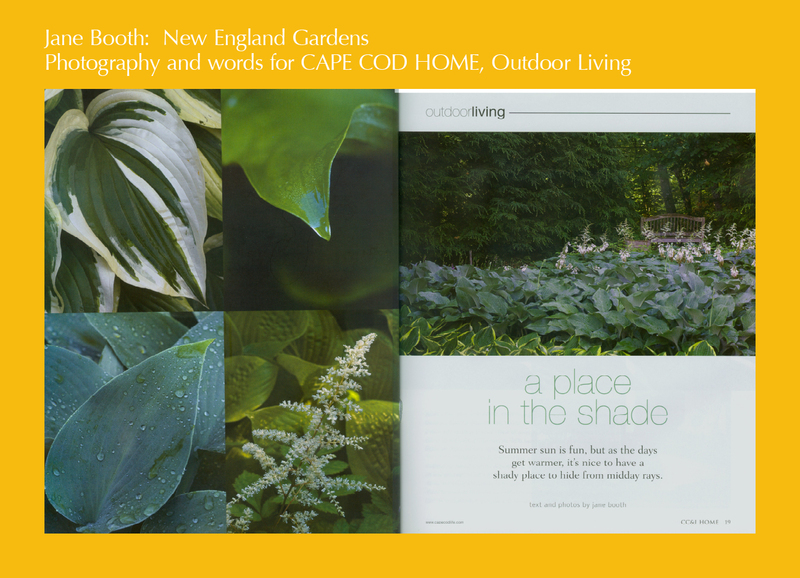 As the hostas emerge, their leaves will fill bare spaces. 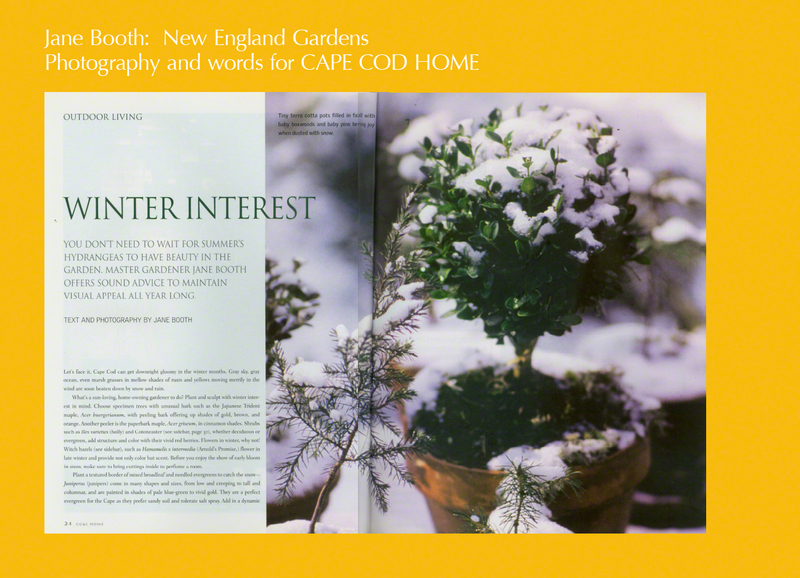 There are many varieties of ferns for the shade garden including the delicate maidenhair with black stems supporting finely cut bright green fronds and the Japanese painted fern with burgundy red veins radiating to a pale whitish gray-green. 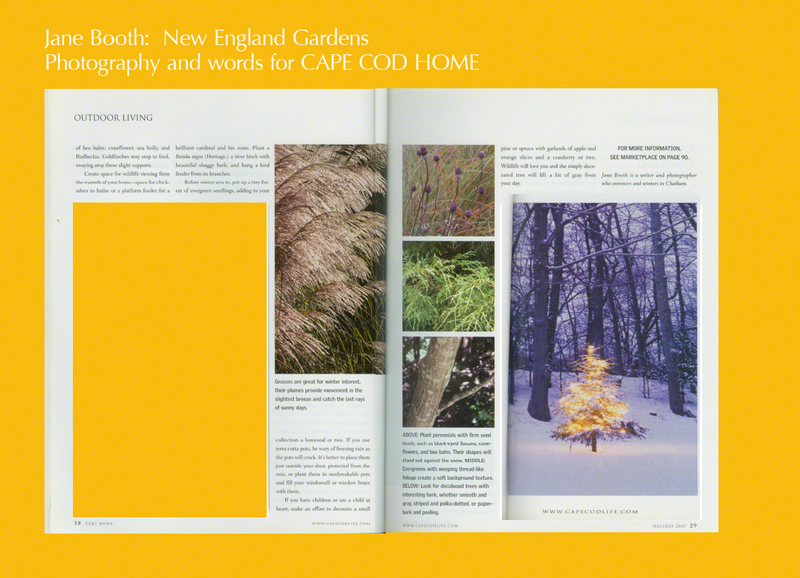 At one end of their courtyard, white paper birch rises from a base of gray-green hostas, ferns, and euonymus. 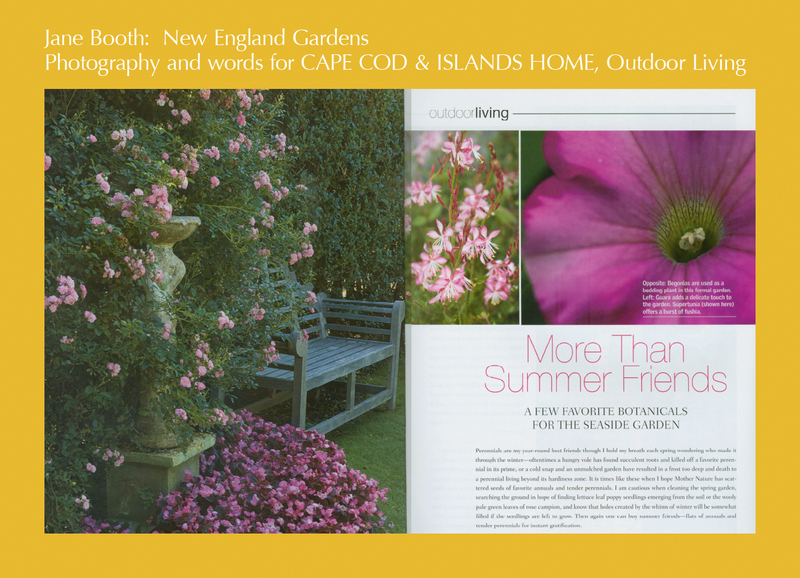 While Betsy and E.B. 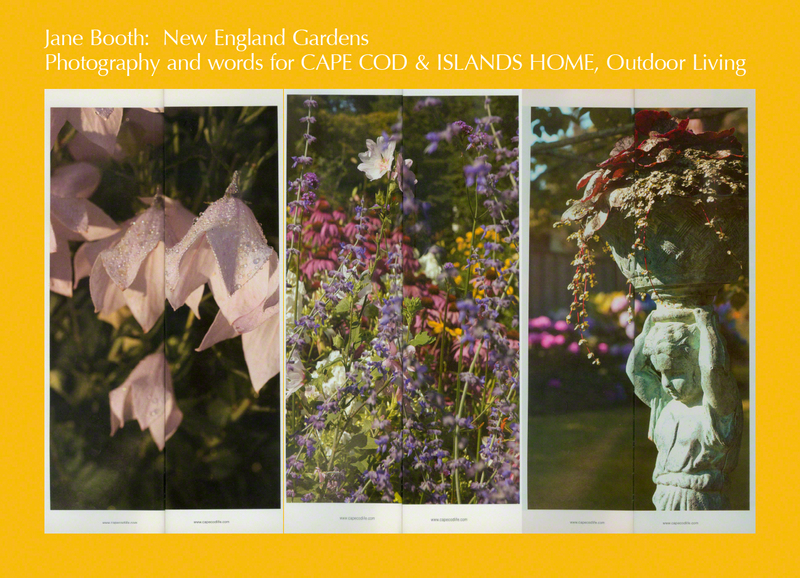 Wilson work with a peaceful palette, it doesn’t mean that all places shady need to be tempered. 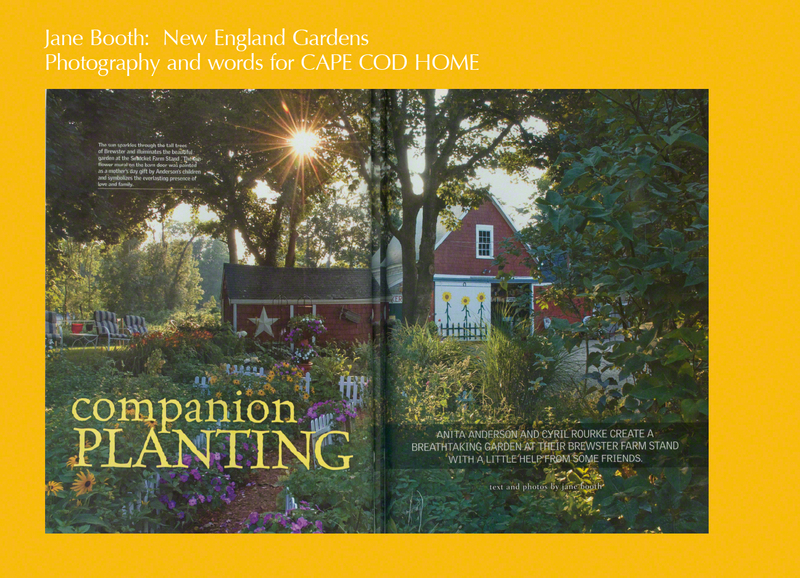 Foliage plants for shade can be a cacophony of color. 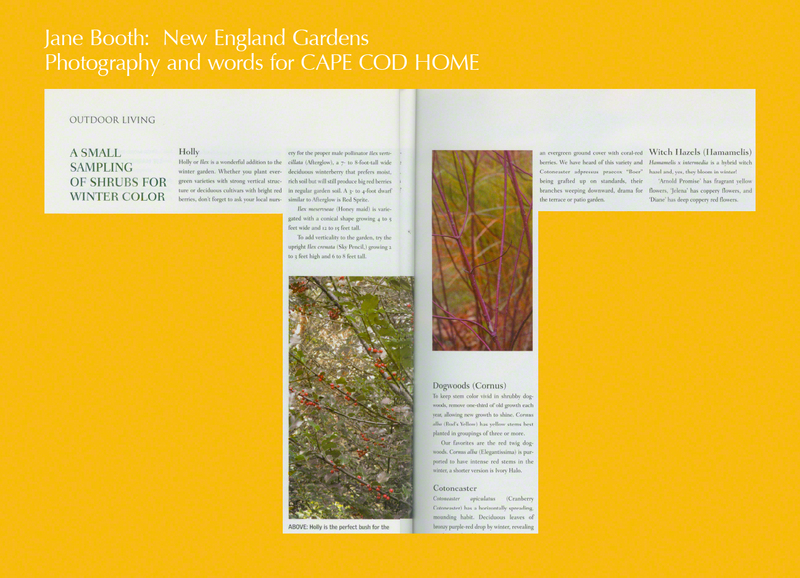 Coleus are exotic annual clowns with leaves splashed in daring combinations of burgundy and chartreuse. 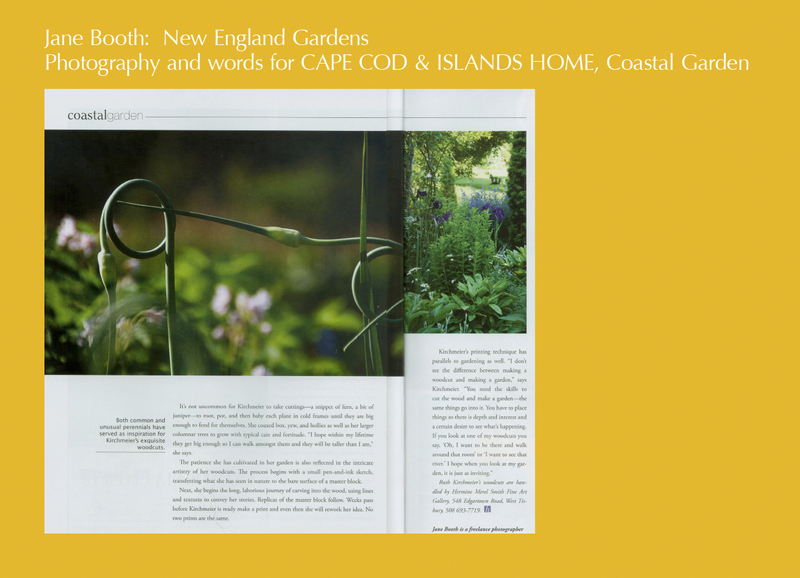 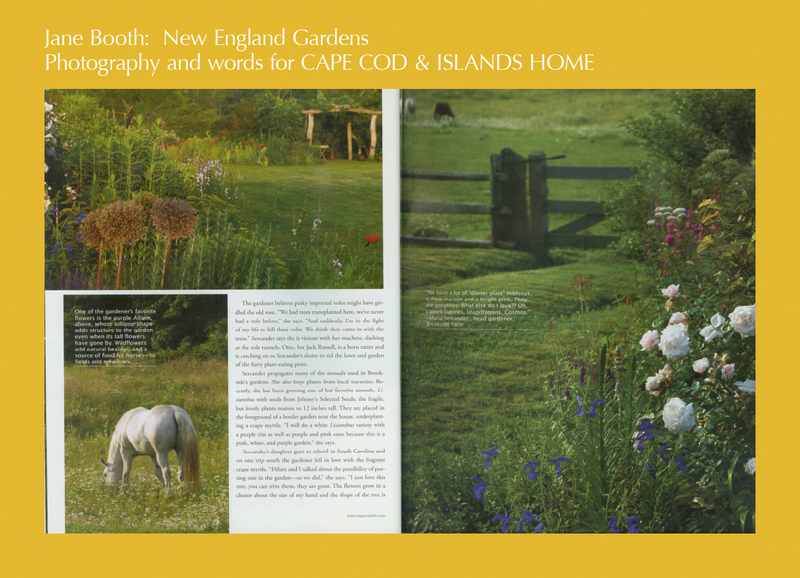 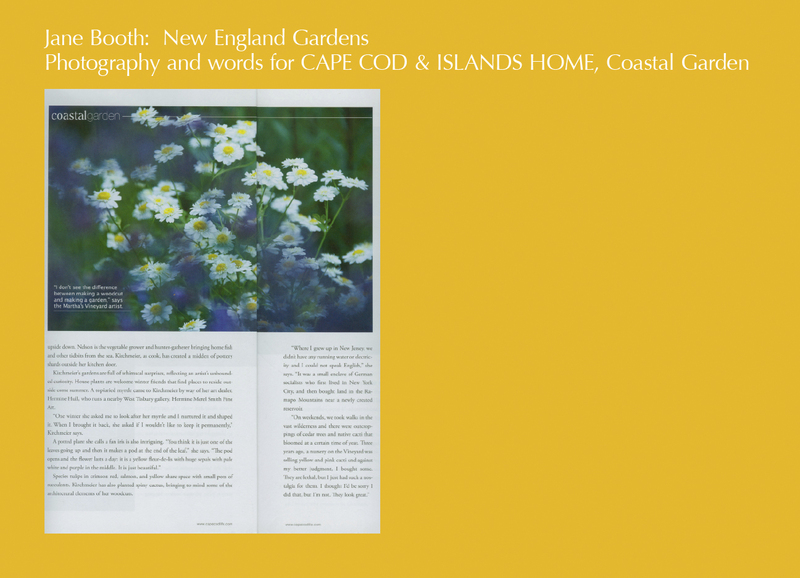 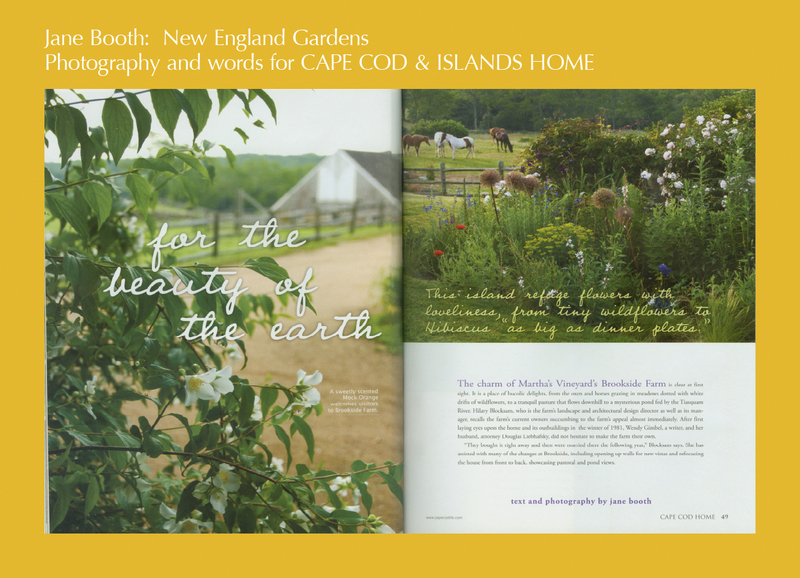 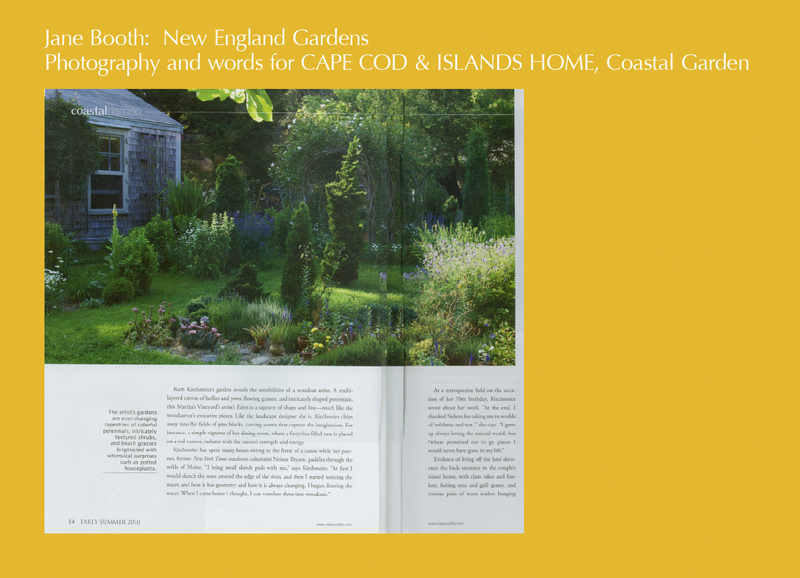 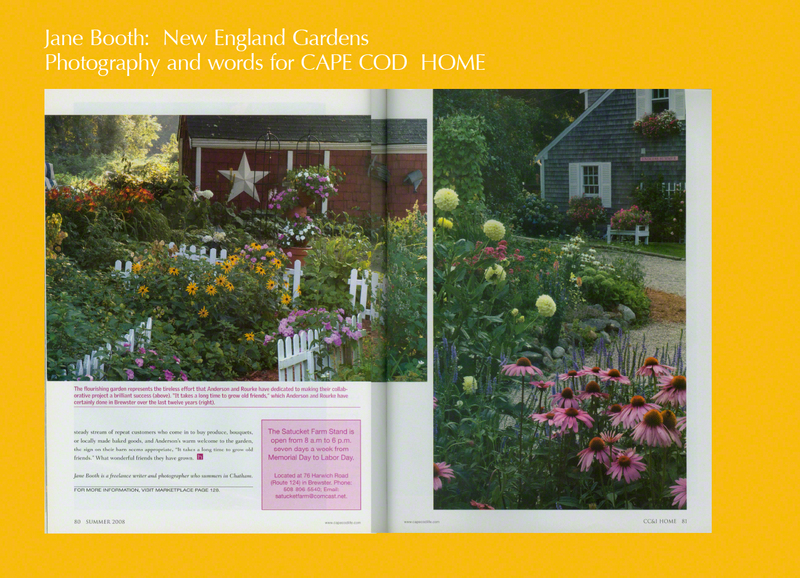 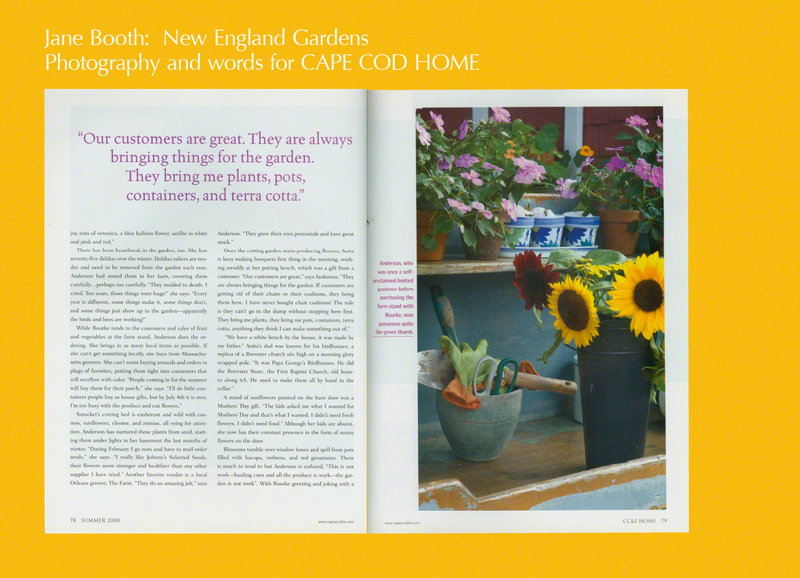 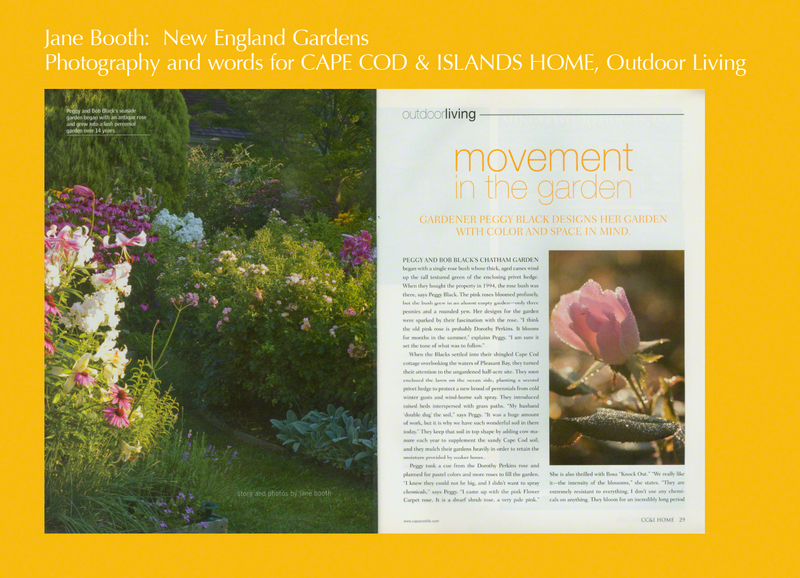 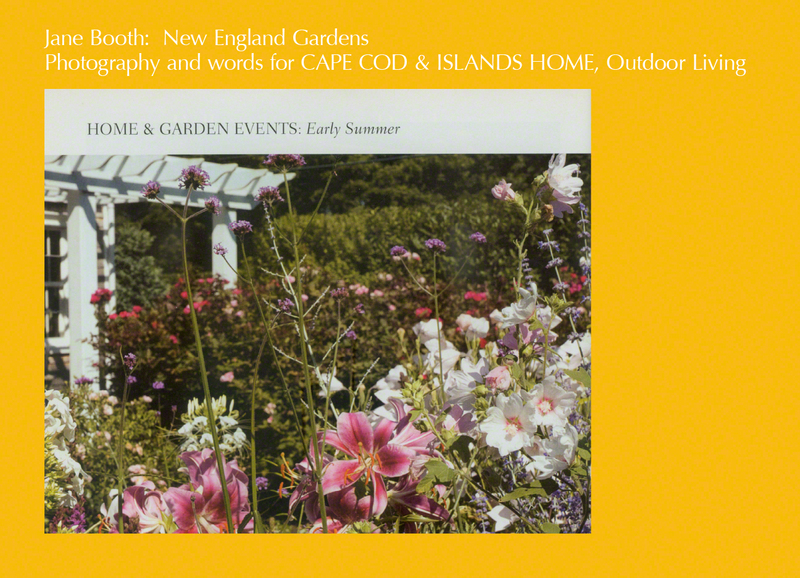 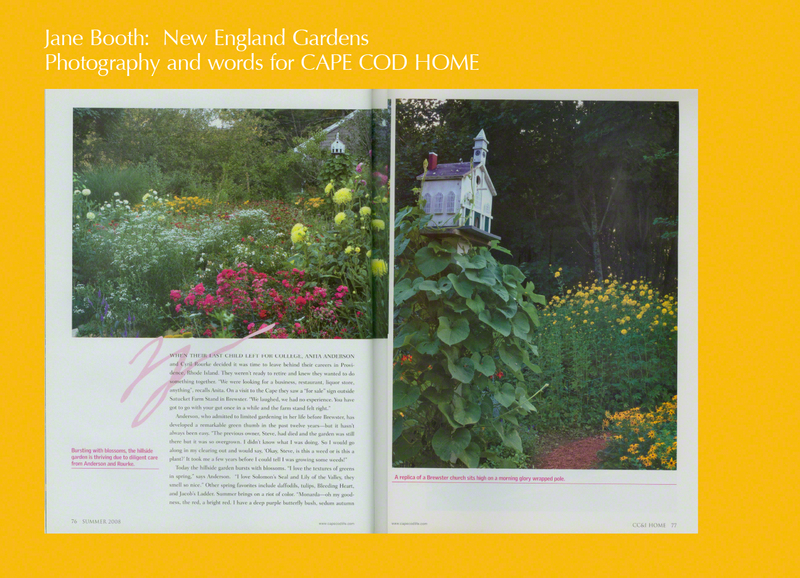 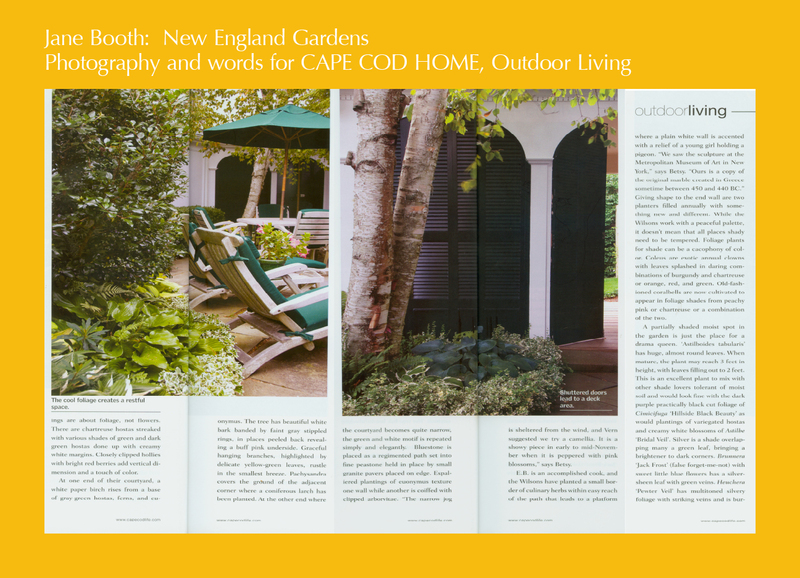 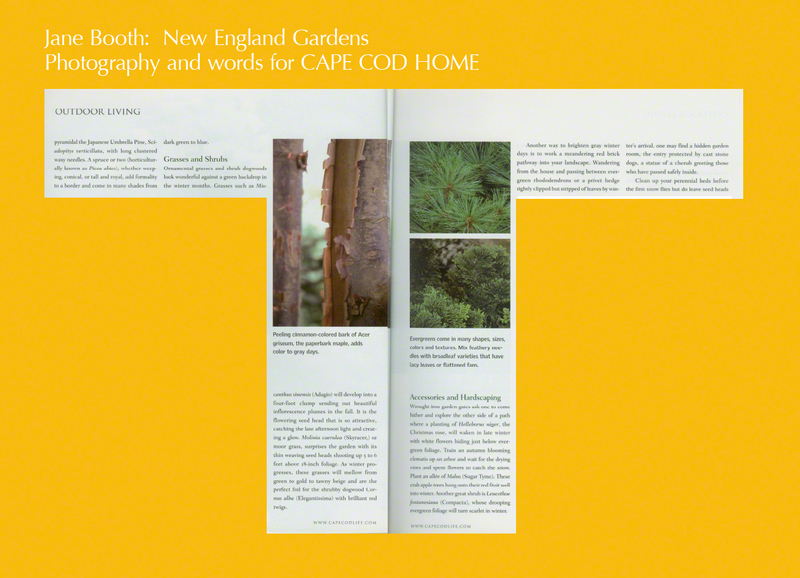 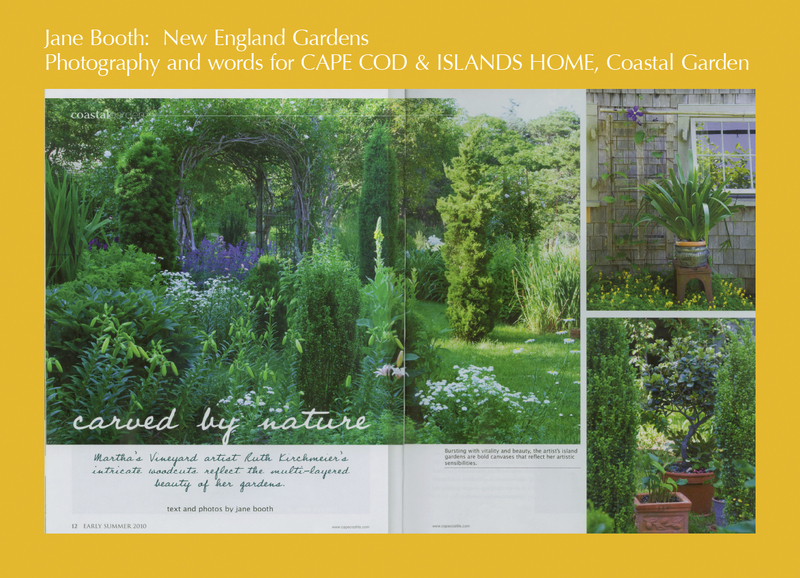 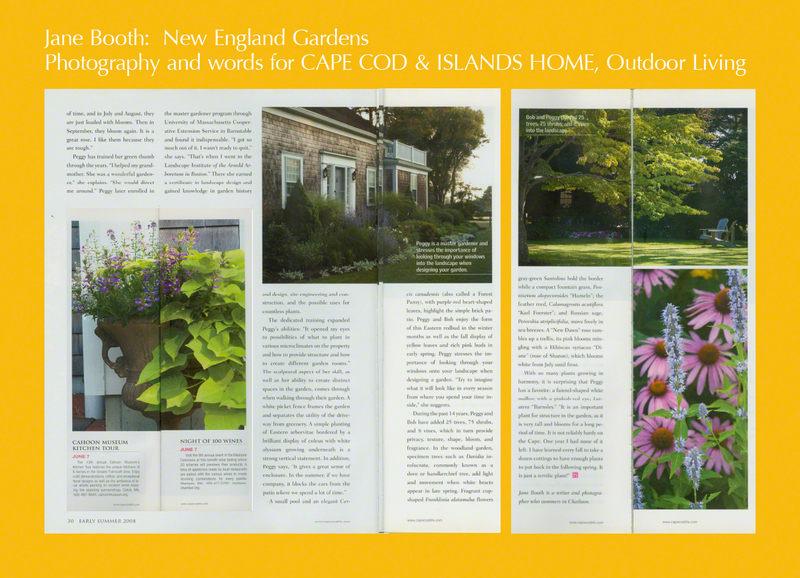 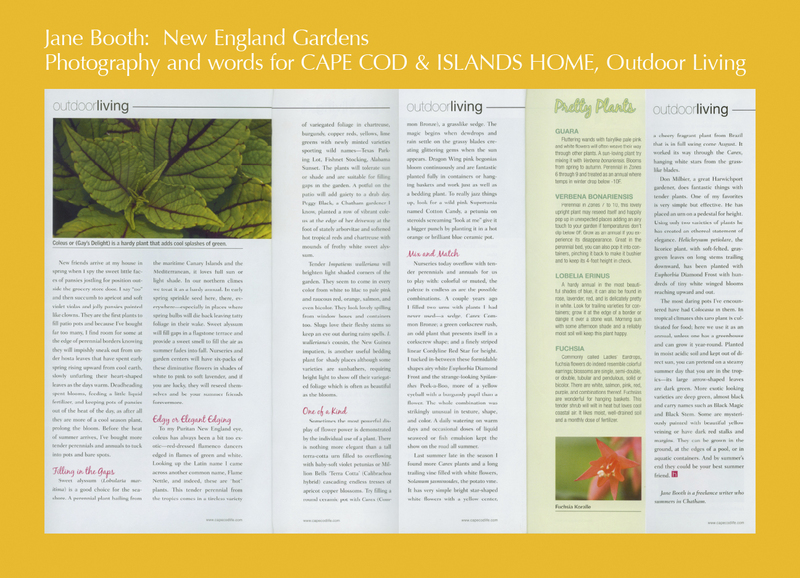 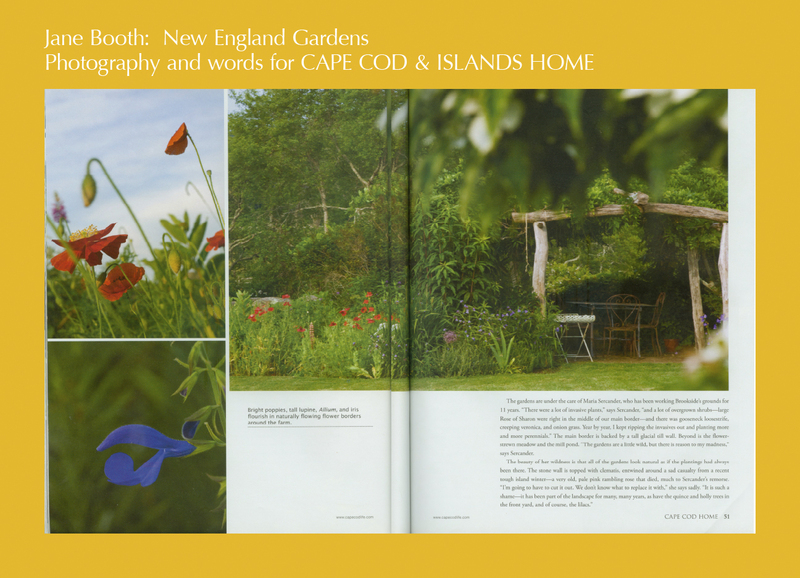 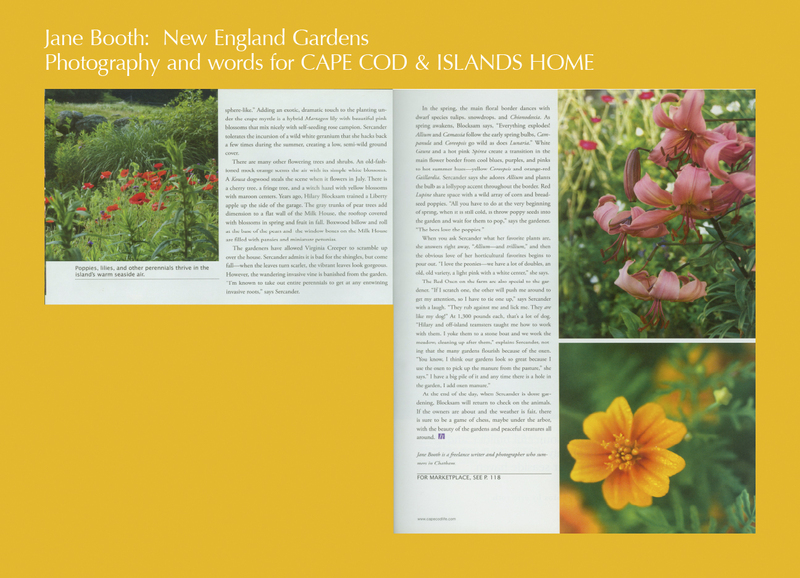 This entry was posted in Cape Cod, Cape Cod Home, Published Work and tagged Cape Cod Home, Cape Cod outdoor living, Chatham, Chatham Massachusetts, coastal garden, gardening by the sea, Jane Booth, Jane Booth Cape Cod and Islands garden stories Cape Cod garden, Jane Booth garden photographer, Jane Booth garden stories, Jane Booth garden writer, Jane Booth New England garden photographer, Jane Booth New England garden photographer/writer, Jane Booth New England garden stories Jane Booth Cape Cod garden stories, Jane Booth New England garden writer, Jane Booth New England Gardens, Jane Booth photographer, Jane Booth writer, Massachusetts gardens, New England garden stories, New England gardens, seaside garden, seaside gardening, story production on February 2, 2013 by Jane Booth.